Also serving communities of Owings. There are 53 Assisted Living Facilities in the Upper Marlboro area, with 5 in Upper Marlboro and 48 nearby. The average cost of assisted living in Upper Marlboro is $3,000 per month. This is lower than the national median of $3,346. Cheaper nearby regions include Clinton with an average starting cost of $2,700. To help you with your search, browse the 76 reviews below for assisted living facilities in Upper Marlboro. On average, consumers rate assisted living in Upper Marlboro 5.0 out of 5 stars. Caring.com has helped thousands of families find high-quality senior care. To speak with one of our Family Advisors about assisted living options and costs in Upper Marlboro, call (855) 863-8283. Upper Marlboro is a small town on the Patuxent River. It has a history that dates back to colonial times and has been the county seat of Prince George's County since 1721. Today the town is home to just over 600 people and more than 9 percent are aged 65 and older. There are 53 assisted living facilities in the area that cater to seniors in Upper Marlboro and the Greater Upper Marlboro area. They're licensed and monitored by the Maryland Department of Health, Assisted Living Unit. The Upper Marlboro area has few facilities from which to choose in the event of a medical emergency or illness, with the nearest major hospital located in Clinton. The cost of living in Upper Marlboro is 123 in the Sperling index, surpassing the national average of 100, with housing cost playing the biggest role in this high rating. While everyday expenses are higher than average, seniors can find groceries and healthcare closer to the national median. Social Security income and public pensions are not subject to state income tax in Maryland. Income from private pensions and retirement accounts are taxed, but there is a deduction available for taxpayers aged 65 and older, which can help seniors keep their tax bill low. The overall crime rate in Upper Marlboro is lower than 89 percent of Maryland's other towns and cities. Violent crime is low, and the property crime rate is 5.94, compared to the state's rate of 22.22. This may be reassuring to safety-conscious seniors. Air quality in St. George's County, including Upper Marlboro, is mixed. The county received an "A" grade for 24-hour particle pollution in the State of the Air 2019 report and a failing grade for ozone pollution. Seniors with respiratory conditions may wish to investigate the impact this may have on their health. Washington Metropolitan Area Transit Authority provides public transit to Upper Marlboro. Riders aged 65 and older are eligible for reduced fares. In addition, there are a number of Paratransit options offered by Prince George's County, which seniors may be able to use. Assisted Living costs in Upper Marlboro start around $3,000 per month on average, while the nationwide average cost of assisted living is $4,000 per month, according to the latest figures from Genworth’s Cost of Care Survey. It’s important to note that assisted living rates in Upper Marlboro and the surrounding suburbs can vary widely based on factors such as location, the level of care needed, apartment size and the types of amenities offered at each community. 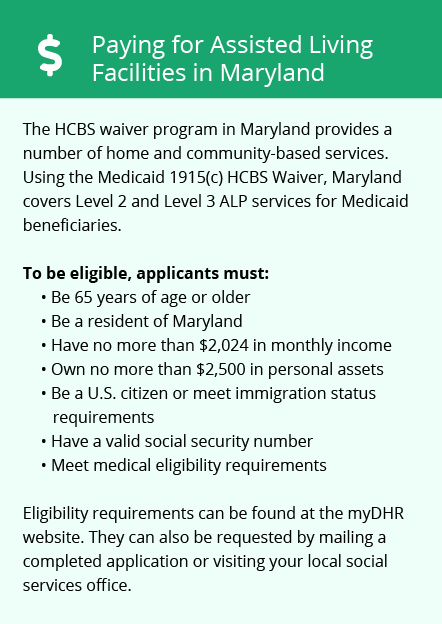 Upper Marlboro seniors who receive Social Security payments, or who would be eligible except for their income, may qualify for financial assistance through the Optional State Supplement. 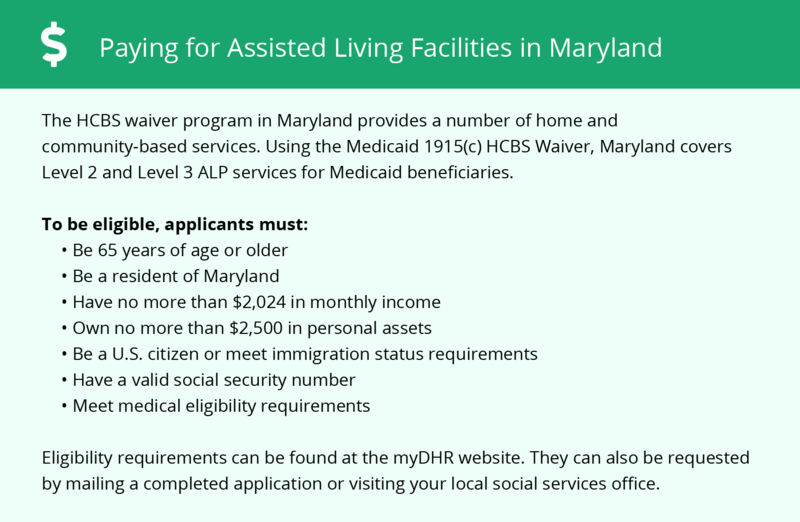 The Senior Assisted Living Group Home Subsidy also provides funding to Maryland seniors in small assisted living facilities. Upper Marlboro and the surrounding area are home to numerous government agencies and non-profit organizations offering help for seniors searching for or currently residing in an assisted living community. These organizations can also provide assistance in a number of other eldercare services such as geriatric care management, elder law advice, estate planning, finding home care and health and wellness programs. To see a list of free assisted living resources in Upper Marlboro, please visit our Assisted Living in Maryland page. Upper Marlboro-area assisted living communities must adhere to the comprehensive set of state laws and regulations that all assisted living communities in Maryland are required to follow. Visit our Assisted Living in Maryland page for more information about these laws.